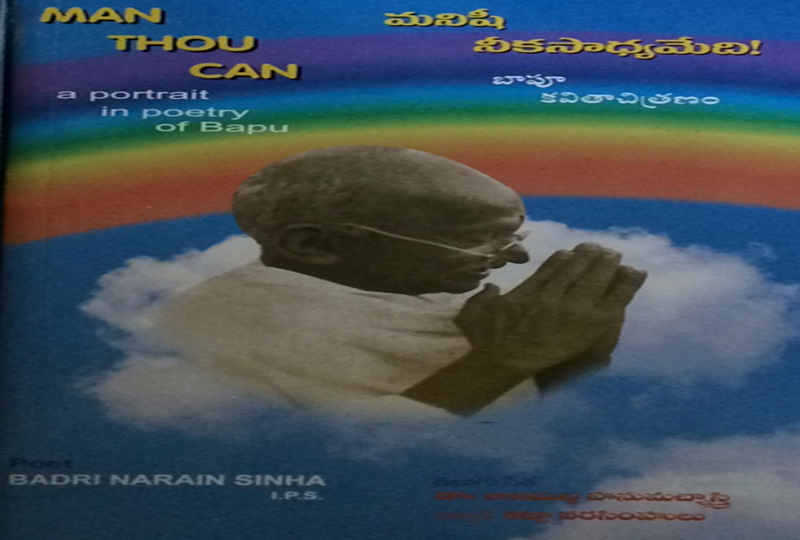 This is a Bilingual English-Telugu Edition of MAN THOU CAN with its Telugu translatio MANISHI NEEKASADHYAMEDI published in 2001 by Badri Babu's younger son Adhar Sinha when he was the District Collector in Cuddapah district in then undivided Andhra Pradesh. The Telugu translators were a duo of two scholars, Dr Janamaddi Hanumath Sastri and VIdwan Katta Narasimhulu. Badri Narain Sinha was an unusual and gifted person. Intellectual achievement is not unfamiliar among members of the All India Services but poetic talent among police officers is rare. This is an attempt to expand the light of his literary ouevre beyond the Vindhyas to southern India.The bilingual book was released on the eve of Gandhi Jayanti on 1.10.2001 at Raj Bhavan Hyderabad by then Governore Dr C Rangarajan.